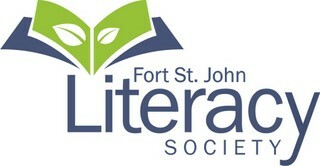 Fort St. John Literacy Society is holding a free Tutor Training Workshop! Do you enjoy helping others and supporting your community? 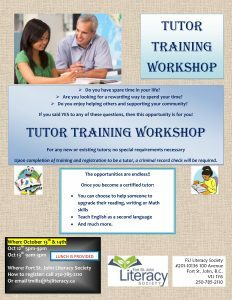 Are you looking for a rewarding way to spend your time? Do you have 2-3 hours per week? 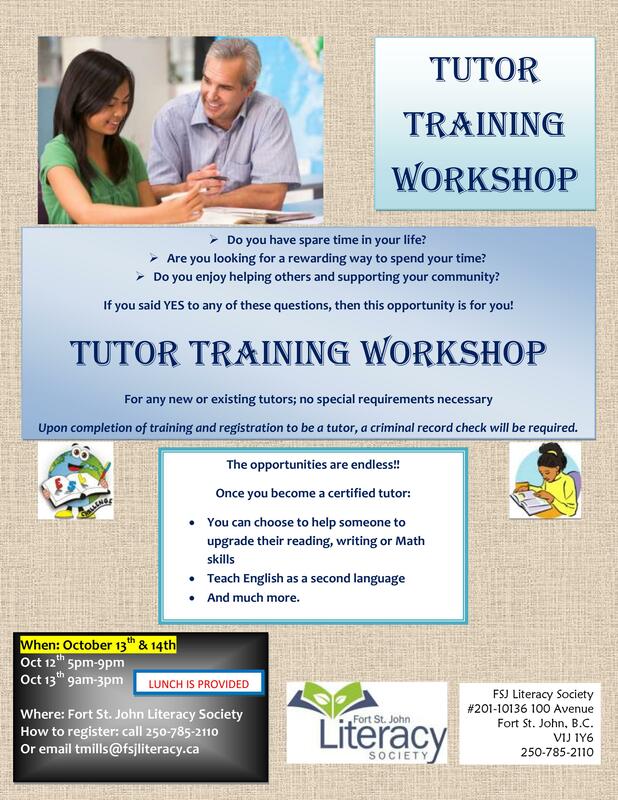 If you’d like to become a certified volunteer tutor, please contact us to save your spot or get more information by calling 250-785-2110 or emailing tmills@fsjliteracy.ca.